VAN WERT COUNTY — Crestview schools and Lincolnview schools have joined together in a two-year pilot program sponsored in part by Tri-County Mental Health to share a licensed social worker within both districts. Jennifer Daugherty, a resident of Van Wert County, whose services will be purchased through Western Buckeye Educational Service Center, has been selected for this new position and began her responsibilities on Thursday. 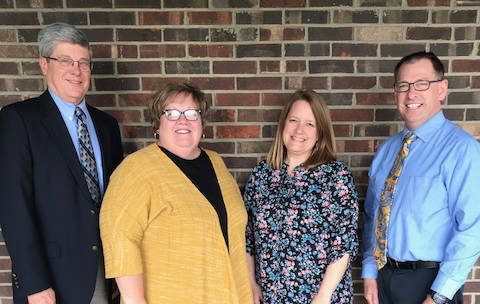 https://www.limaohio.com/wp-content/uploads/sites/54/2018/11/web1_IMG_0162e.jpgWestern Buckeye ESC Superintendent Dave Bagley, Crestview Superintendent Kathy Mollenkopf and Lincolnview Superintendent Jeff Snyder welcome Jennifer Daugherty to her new position as social worker for both schools.